A new community noticeboard & map is now in place at the railway station. 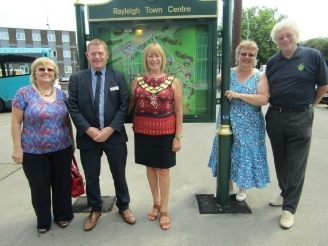 This was a joint venture between Rayleigh Through the Looking Glass and Rayleigh Town Council and the official unveiling took place on July 7th. Rayleigh History Tour by Mike & Sharon Davies has now been published and can be purchased from us or at the Museum for £5.50. More info on our Books page. Further information available on the Rayleigh Town Museum website (www.rayleightownmuseum.co.uk), the Rayleigh Town Museum Facebook page (Facebook.com/rayleightownmuseum) and the notice board in the High Street on the wall by the Millennium Clock. 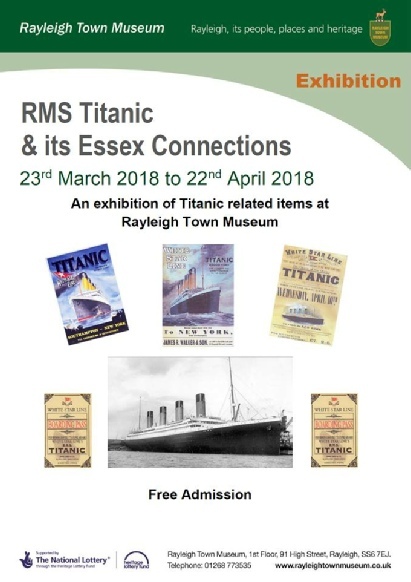 Rayleigh - The Postcard Collection by Mike & Sharon Davies has now been published and can be purchased from us or at the Museum for £9.99. More info on our Books page. Rayleigh Through the Looking Glass have received a Best Community Involvement Award from Abellio Greater Anglia for the painting competition project at the Railway Station. 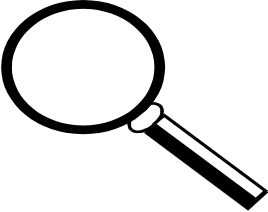 More information on this competition in our monthly update for July 2015.